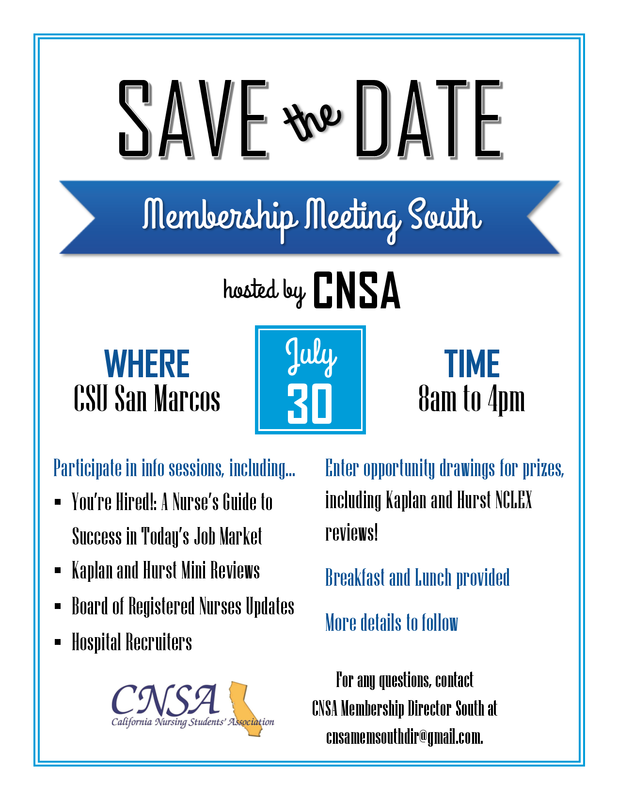 Join CNSA at their Membership Meeting for the nursing schools in southern California. 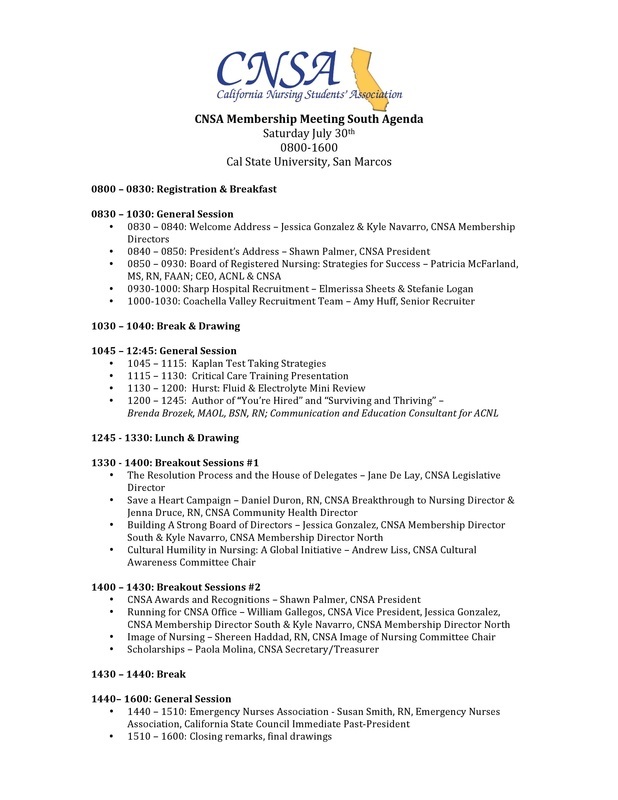 The meeting is a great way to get involved in CNSA and to network with other nursing students as well as current RNs. To RSVP to the meeting, click on the flyer to the right. RSVP is requested in order to get a head count of attendees. Business casual attire is requested. The meeting was organized by our very own Mentorship Director, Jessica Gonzalez, who is also the CNSA Membership South Director! Feel free to reach out to her if you have any questions about CNSA or the meeting at cnsamemsouthdir@gmail.com. Click on the agenda to view full-size. The meeting will be held in the University Student Union building. 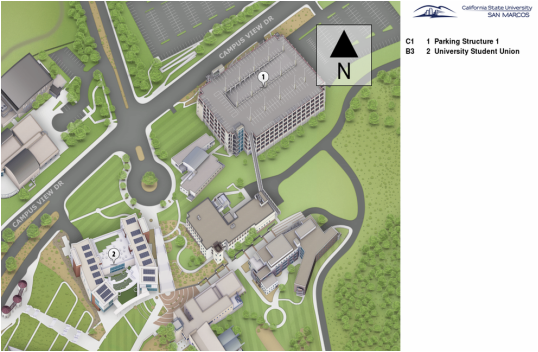 Parking is free for attendees on the 6th floor of the parking structure. 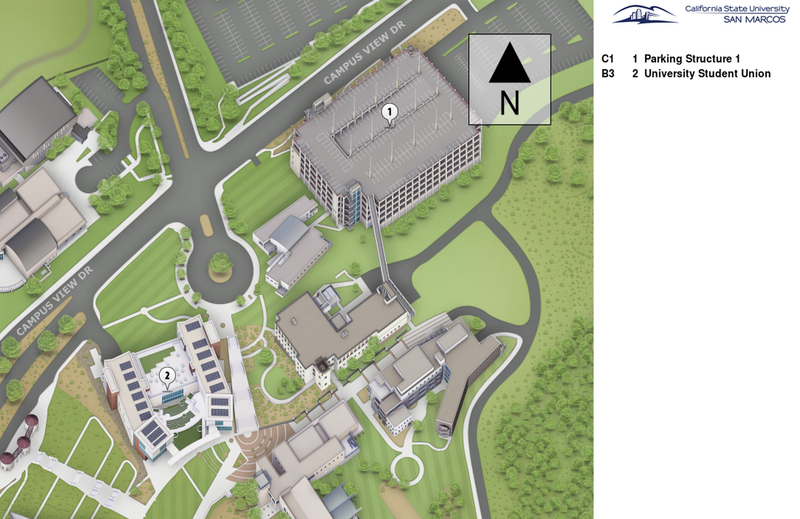 ​Follow the signs from parking to the University Student Union building. Click on the map to view full size. Merge onto Highway 78 West. Park on the 6th floor, which is designated for attendees of the meeting. Parking is free.